Among animals, human beings are unique in that we have developed methods to conceptualize time and ways to preserve and communicate knowledge and culture across generations. Humanity evolved complex social relationships and unique solutions to complex challenges, yet we are also prone to superstitions and hatreds—aspects of ourselves that must be transcended. Humanist ideas are universal in scope and continuous through time, anywhere an inquiring mind has met an intractable problem or mystery. Rather than accepting the easy answers, Humanists never stop asking “why?” and “how?” Humanists are the empiricists, the questioners, the artists who push knowledge to the edge, then press on. Chinese Daoism, probably the oldest continuously practiced human religion, teaches observation and acceptance of the nature of reality as the highest good. Like many humanists, both the Indian philosopher Gautama Buddha (c. 563-480 BCE) and the Chinese philosopher Confucius (551-479 BCE) did not deny the existence of the gods of their cultures, but they did dismiss theological questions as irrelevant to living a meaningful life. Though its origins are lost, Jainism is non-theistic and teaches liberation though human effort. Universal love is really the way of the sage-kings. It is what gives peace to the rulers and sustenance to the people. You can’t be human all by yourself, and when you have this quality—Ubuntu—you are known for your generosity. We think of ourselves far too frequently as just individuals, separated from one another, whereas you are connected and what you do affects the whole World. This impulse has led Humanists to embrace the United Nations Universal Declaration of Human Rights. The book called Ecclesiastes, among the scriptures of both Judaism and Christianity and written sometime around 300 BCE, reflects rationality and skepticism. The text assumes there is no afterlife and that living well in the face of endless cycles of time—“there is nothing new under the sun”—is the only viable choice for humanity. Then he is not all-powerful. Then where does evil come from? As with the Charvaka, who reached their conclusions based on Hindu thought, the Mutazilites were a rational group that arose in Islam beginning in the Eighth Century CE. “Sumak kawsay,” or “the good life,” is a contemporary popularization of the ancient wisdom of indigenous South American peoples. The focus of the movement is saving our biosphere from rampant development. The Western literary and artistic tradition, later studied in the university curriculum as the humanities, also encouraged humanist thinking. The Nineteenth Century French philosopher August Comte was apparently the first to realize that church could be done without reference to religion. He worked at creating what he called the “religion of humanity.” Comte’s motto was vivre pour autrui, “live for others,” from which we derive the term “altruism.” Altruism remains an ideal of Humanism. Comte was the direct inspiration for Felix Adler, founder of the Ethical Society, and John Dietrich, founder of the Unitarian Humanist tradition. Philosopher Alain de Botton founded an “atheist church” in London in the early 21st Century, soon to be followed by Sunday Assemblies, with franchises in several cities around the world. There is no patent on the concept of humanism, nor is there any lack of creativity among those seeking community outside of traditional religious concepts and institutions. The essential is to take a hard look at form and function. Traditional religions take many forms in their congregational gatherings. What, however, is the function? Do assumptions about the supernatural in any way change that function? Humanist thought stretches across time and space. Humanists live in the observable world. 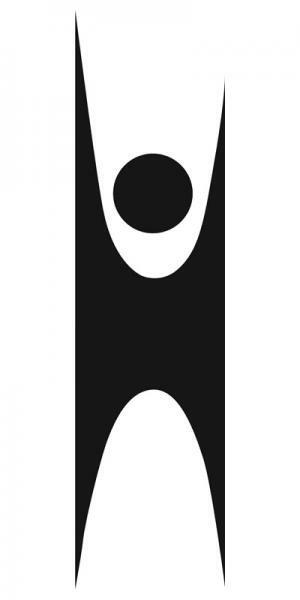 Twentieth Century Unitarian Curtis Reese once said of the idea of God: "philosophically possible, scientifically unproved, and religiously unnecessary.” That is the Humanist life stance. You will know Humanists because we do not worship, nor do we pray, nor do we bow before the ideas, idols, or ideologies of our fellow Homo Sapiens. We live as global citizens in the cosmos. In awe, gratitude, and hope, Humanists know that we are one with all. We dedicate our lives to healing the planet and freeing humanity.